keeping an eye on new techniques and new products on the market. Specialized International Anti-osmosis center, equipped with all of the up-to-date machinery present on the market. Dry sandblasting for a deep treatment, Ibix sandblaster for delicate treatments, Gel Plaid equipment for forced manual removal of lamination layers. The best systems for dry laminating: dehumidifiers, heat guns, lamps, and the innovative heating panel Hot Vac. Constant technological updates have allowed the shipyard to become the first center authorized in l’Italia AWLGRIP. We carry out every type of varnishing and painting, thanks to the use of the most recent techniques available on the market. 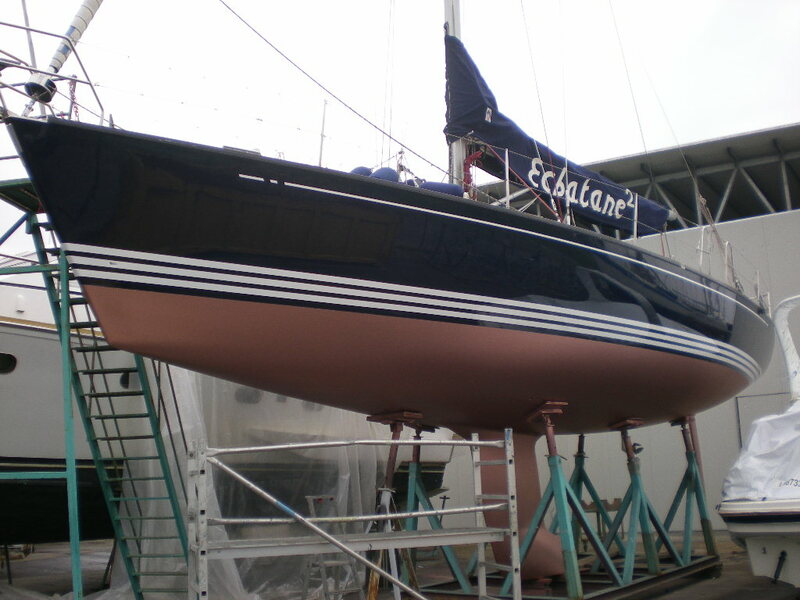 Varnishing tailored to the client’s personal taste is also available. 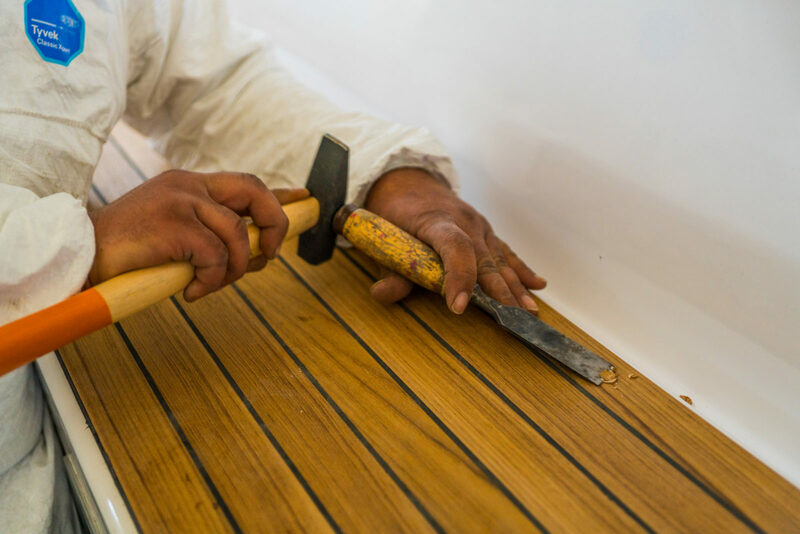 Restoration of antique and vintage boats and the refurbishment of decks in teak in the traditional method. In addition a close and constant collaboration with experienced design studios has allowed us to personalize, complete, and modify the boat’s internal spaces. 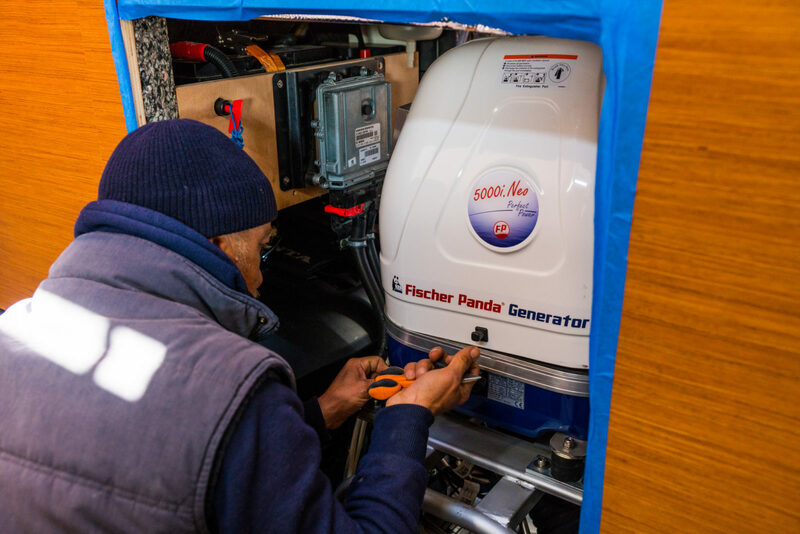 Thanks to the experience accumulated throughout the years with the biggest European shipyards, it’s possible to plan and install all of your onboard equipment with a relevant guarantee. Simrad, Raymarine, Climard air conditioning, Frigobot, Fisher Pander generators and Dessalator desalinators are just some of the prestigious brands we work with that are available for our clientele. Custom electric panels, paired with Philippi panels make work on electric installations easy. Authorized center for internal and external motors. 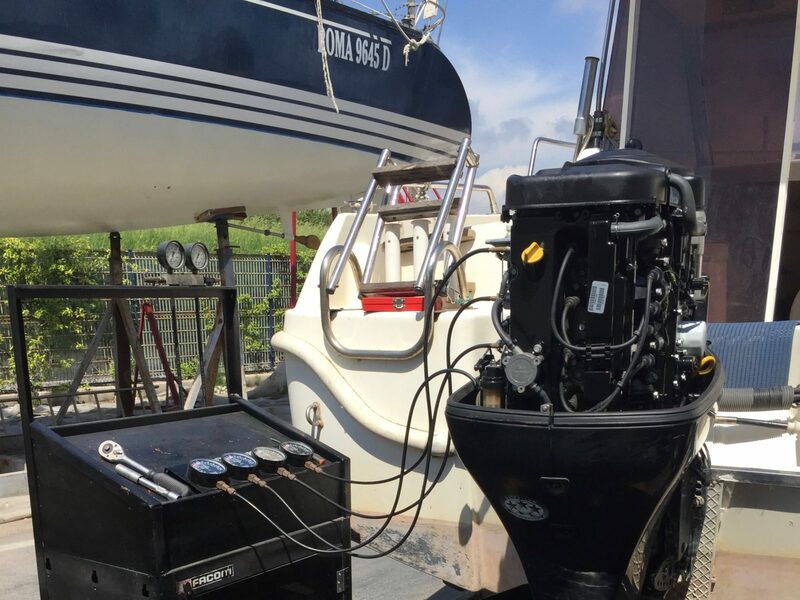 Yanmar, Perkins, Beta, Evinrude, Evinrude E-Tech and Mercury Racing. Specialized in the optimization of racing motors. 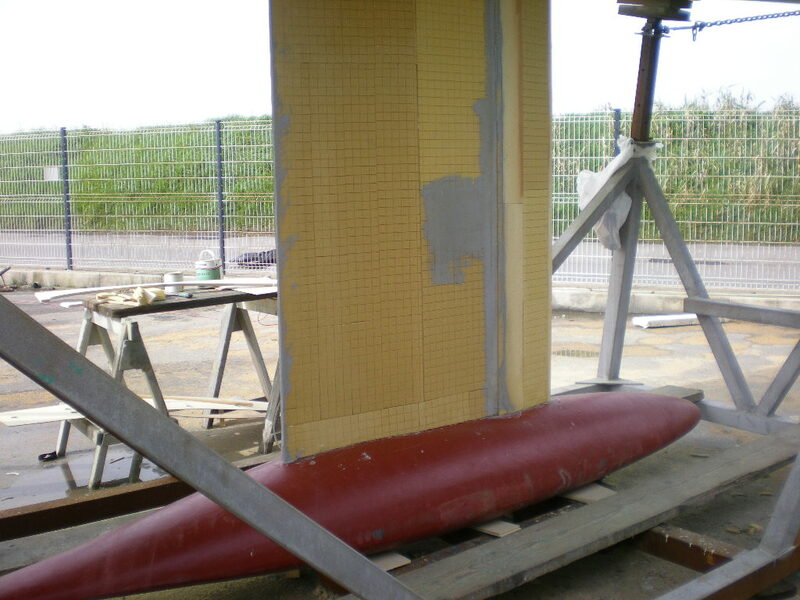 Through collaboration with design studios, the construction of regatta hulls, cruise hulls, the construction of NM Yachts, along with the constant modification of boats that participate in the biggest international sports circuits have given us the experience to confidently work on hulls, trailers, masts, and sails.